Opera’ Music offers music supervision services for specific productions or through in-house supervisors working closely with the client on all their productions. Music Supervision services include music research, according to target and budget, clearances and negotiations with right-holders. Opera’ hosts in-house composers and producers to provide tailored solutions for any kind of production. Direct access to musicians and producers in Italy, UK and the USA and a strong network of professionals enable Opera’ to offer efficient solutions to any request. Opera’ offers Voice Talent recording services. Studios in Milan, Turin and London are available for attended sessions (or remotely monitored), and a wide network of Voice Actors are readily available. Our team provides custom Sound Design to add depth and an extra level of communication to make productions truly stand out. We also provide mixing for broadcast, respecting all the TV standards currently in use worldwide. Opera Music manages a roster of composers (classically trained or modern) available for film scoring. Our extended network and in-house engineers allow Opera to deliver full orchestral recordings and mixes, be it for a feature film, TV Show or any other production needing scoring. Our studios are equipped to mix in 5.1 surround sound and our in-house team comprises specialised engineers for dialog editing, sound effects, foley and 5.1 mixing. Opera has its own in-house A&Rs and long established relationships with independent A&Rs. From scouting to signings, from budgeting to team building, production and mixing, Opera’ covers all aspects of A&R. Working very closely with our own A&R or external A&R departments, Opera’ offers full production services, studios and equipment hire and sourcing up to mixing and mastering. Our in-house team collaborates with international award-winning sound engineers, session musicians and studios to deliver the right production standard for each project. In a music industry where 360 degree deals are more and more common, we offer management services for the artists we produce. Bespoke solutions can be defined artist by artist according to the nature of the act and the surrounding conditions. Les Italiennes is a blend of interesting characters, two different stories brought together in an enchantment. 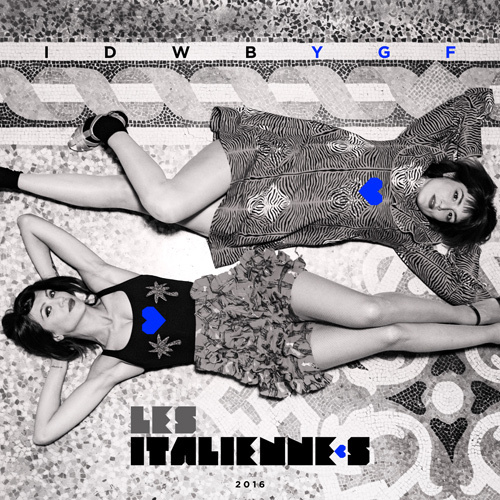 Daniela Chiara (who has collaborated in the past with Gianna Nannini, Zucchero and Irene Fornaciari, Fedez) and Alessandra Contini (Il Genio, and various collaborations with Statuto, Diaframma and Bandabardò) set out to form Les Italiennes in 2016. Their music is inspired by the world of electronica, which they feel is their own. Their debut single ‘I Don’t Wanna Be Your Girlfriend’ was released in May 2016 on Opera Music. 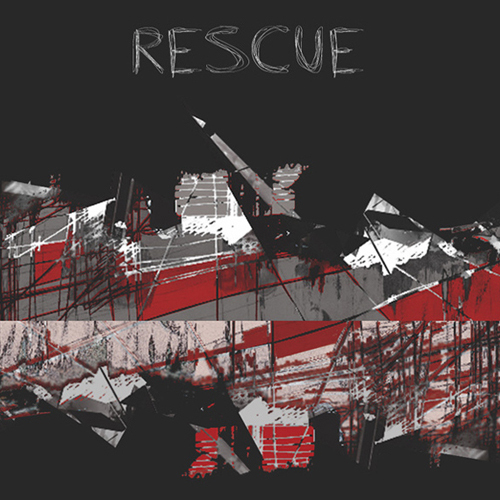 Rescue is an Italian singer-songwriter based in Naples. Blending Brit-pop tradition and Alternative Rock aesthetics from the American tradition, Vincenzo Di Sarno (Rescue) writes vibrant melodies and delivers powerful lyrics: a long and deep river, a lifetime-long water flow; music is a cathartic vehicle, to reach other people, and oneself. A warm and expressive voice, in which you can hear echoes of classic American tunes. Fascinating and seductive, this is Andrea Balducci. Andrea was born in 1971 in a family with little wealth. He approached music at a young age, first playing piano, and then singing in bands with friends. In 2002 he graduated in Law, but his passion drives him towards the world of music for good. Since 2003 Andrea started a tireless live activity. His performances took place in clubs and private parties in France and Italy. Between 2007 and 2008 Andrea extended his live activity to Holland, Switzerland and Austria. Between 2009 and 2010 he finally flew to New York (one of his dreams), where he had the opportunity of meeting a lot of world famous musicians, and had the chance to perform in many clubs in Brooklyn and Manhattan. After years of dedication and live activity, Andrea was finally ready to step up to a new level. 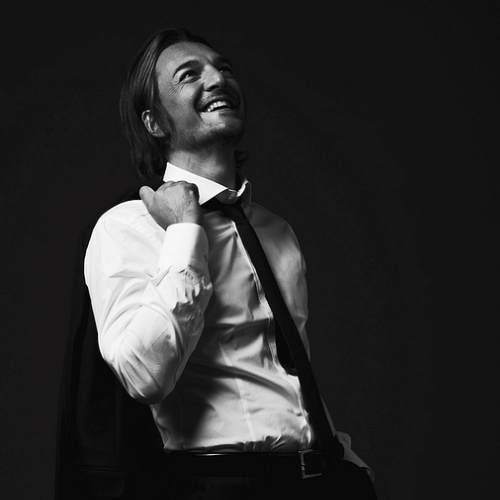 In 2011 he signed with Schema Records, an internationally known label from Milan (Italy), and in 2012 Andrea released his debut album “Bloom”, which features top international jazz players, and its classy sound reflects Andrea’s inner nature. HANA-B are an Italian Indie Rock band that formed in the early 2000’s and named after Takeshi Kitano’s masterpiece ‘Hana Bi’. 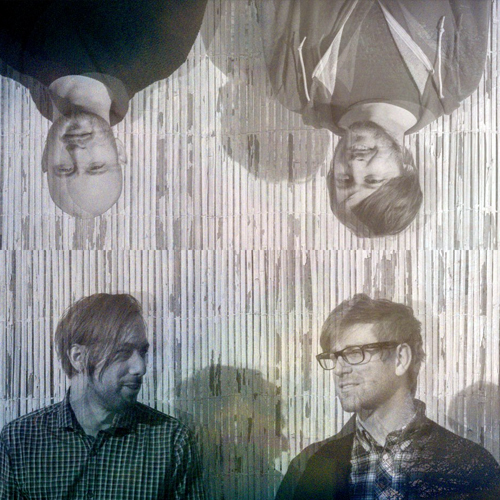 Drawing influences from Anglo-American Alternative Rock, the band released a debut album in Italian in 2016, Camera Oscura, followed by Ruins’ Hotel in 2010 (in English). The band took a long hiatus and went back to recording in 2013, releasing a single (Merry-Go-Round), yet most of the material from this last recording is still unreleased. Opera’ Music was set up in 2006 as a record label, and developed throughout the years into a wider music powerhouse concept. Music production for the moving image paired with the classic label model and numerous other activities followed including scoring for motion pictures, music supervision services and audio post production and voice talent services.